2 Injured in Vie at Raleigh Apartment Shooting; Can Victims Seek Justice, Compensation? Could this senseless Raleigh apartment shooting have been prevented and are justice and compensation available to the victims? 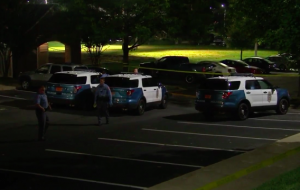 Two men were reportedly shot during a party at “the Vie at Raleigh apartments, located at 403 Wolf Creek Circle,” Wednesday morning, August 15, 2018, according to WRAL. Both men were transported to WakeMed, per ABC 11 reports. Their current conditions have not been released. According to CBS 17, a fatal shooting occurred at the complex in August 2017, claiming the life of 23-year-old Quentin Judd and raising concerns over resident safety. The media investigation alleges, “Raleigh Police have responded to the Vie for reports of assault, vandalism, shots fired, illegal drug and alcohol use, and car break-ins.” At the time, residents called for “an increase in security and police.” It is unclear whether the complex ever complied with those requests.